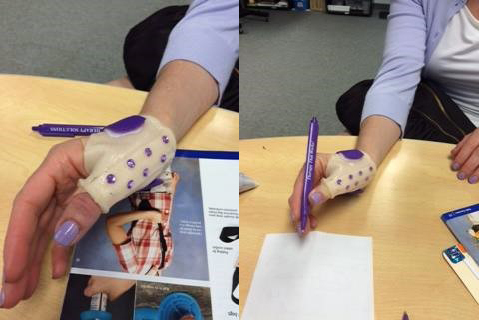 Some patients need to wear an orthosis long term to help them perform their daily routine of activities. Other patients require orthoses for a short period while healing. But an orthosis will almost always become a very visual part of the individual! 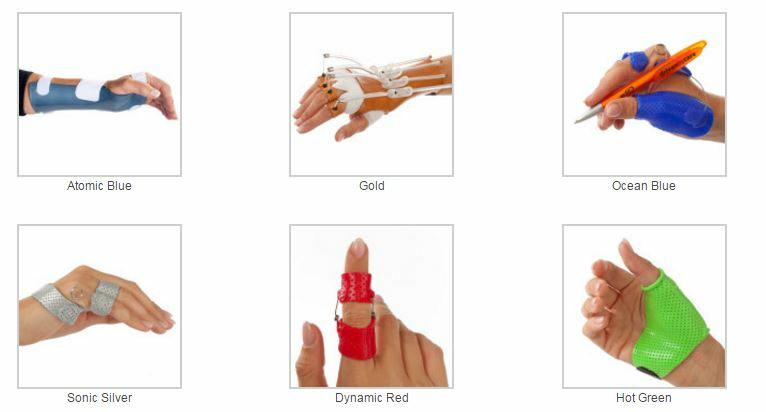 We feel strongly that each individual orthosis should fulfill all of the functional requirements related to the specific pathology and also be aesthetically pleasing. During your evaluation, be sure to ask your client about their interest and hobbies: What is their favorite colour? What is unique about their personality? 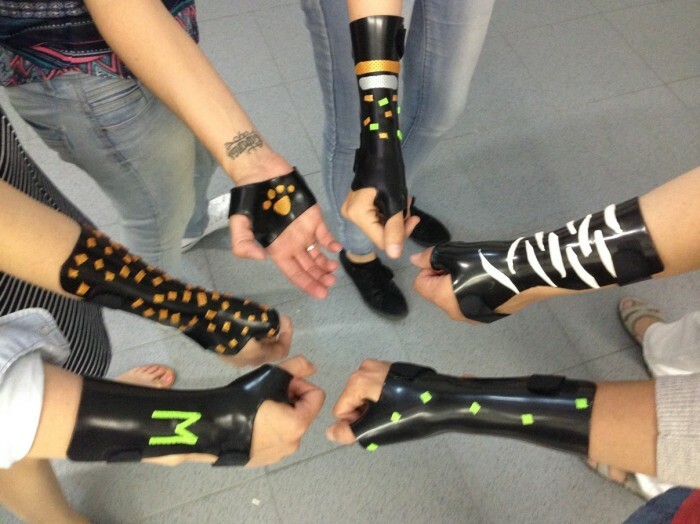 How can you custom design an orthosis to personalize it? 1) Offer an appealing colour from our Orfit Colors NS range. There are 9 different colours. Not shown here: Dominant Black, Bright Pink and Violet. 2) Add coloured straps to the orthosis. We have a wide selection of colours in our product range. 3) Use scrap material and small leftovers from Orfit material to add some nice designs onto their orthosis. 4) Add accessories like buttons, stickers, fake jewels or beads that you find at your local art & craft shop. You can also use duct tape. Remember, a patient pleasing orthosis is an orthosis that will get worn; an ugly one just ends up in the drawer. 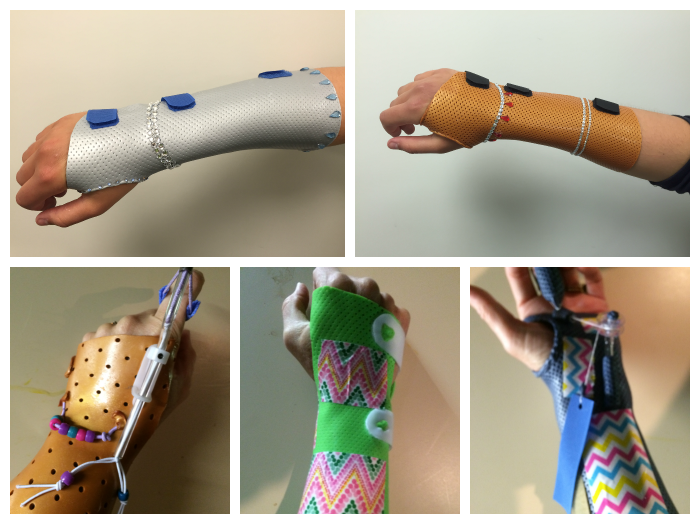 How did you make an orthosis more attractive? Share your favourite idea in the comments on our Facebook Group!